Not quite the traditional tomato egg drop noodle soup. On top of lighter version chicken soup, I also infused some katsuobushi (bonito flakes) and lemon juice. 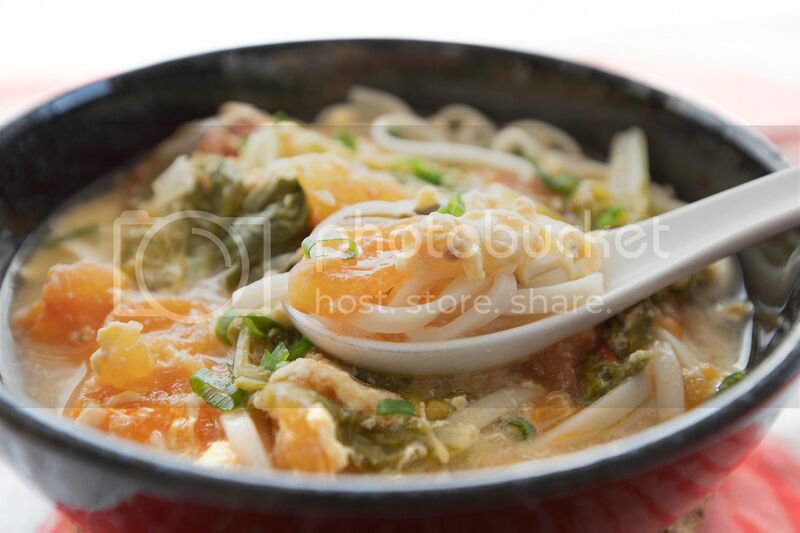 In a way, it's my refreshing version of tomato egg drop noodle soup. Ingredients (about 3 to 4 portions)? Heat up the chicken stock but keep it just about to simmer. Soak in katsuobushi/bonito flakes for about 10 minutes. Some like to keep the stove on low heat, but I turned off the heat right away. Once ready, filter out the katsuobushi and set the stock aside. Peel and grate the ginger. Peel and finely chop the garlic cloves. Remove tougher ends and cut the Chinese cabbage into shorter sections. Destem the scallion, cut the whiter part into shorter sections and chop the greens. 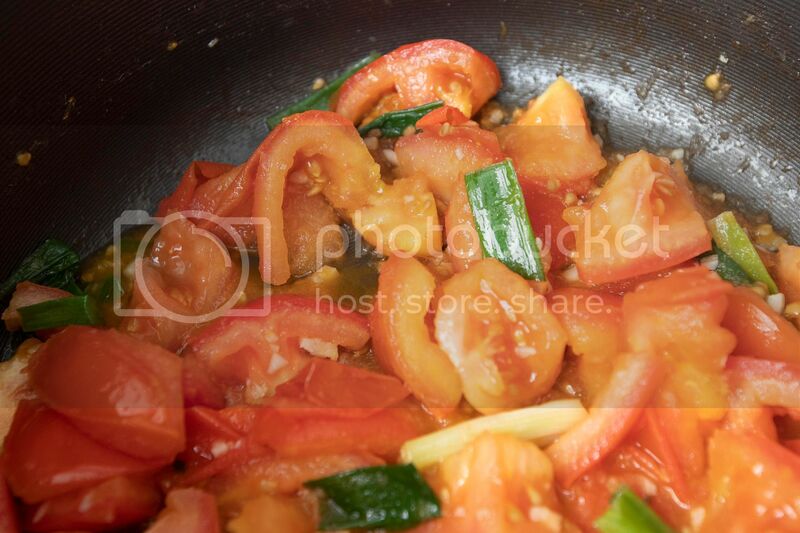 Cut the tomatoes into large chunks, no need to remove the seeds and juice. Also no need to remove the skin first. Just gradually picking out the skin during the cooking process, less stuff to wash that way (wink). Beat the eggs and set aside for later use. Take a deep pot, drizzle in some olive oil and turn to medium high heat. Add in chopped garlic, scallion sections, grated ginger, and 1 teaspoon of salt. Cook till aromatic but not burning the garlic. 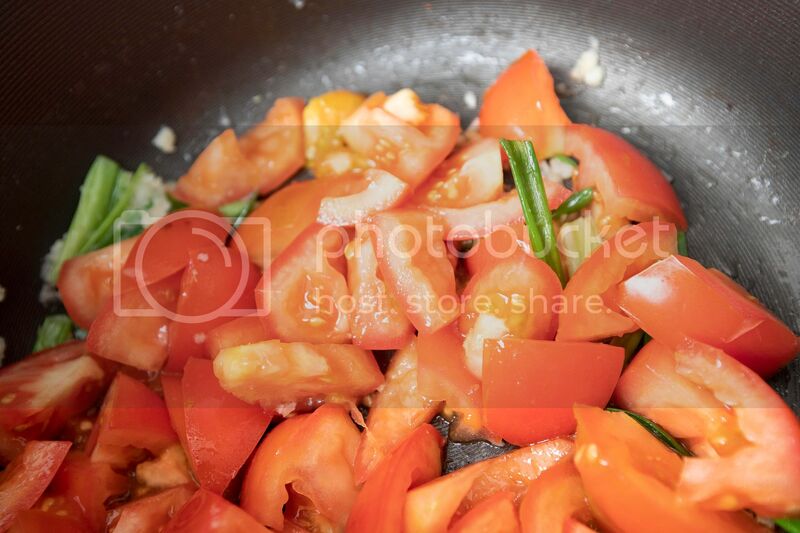 Transfer chopped tomatoes over and stir-fry till the skin start to fall apart. Be careful of splashing oil during this process. That's why I highly recommend to use a deep pot, it can serve as your wall of protection. Meanwhile, pick out the skin while waiting for the tomatoes to cook down, it should be slightly gooey with chunks remain. Lower the heat a little if need more time here. Pour in prepared stock. Bring to a boil then lower the heat to a simmer. 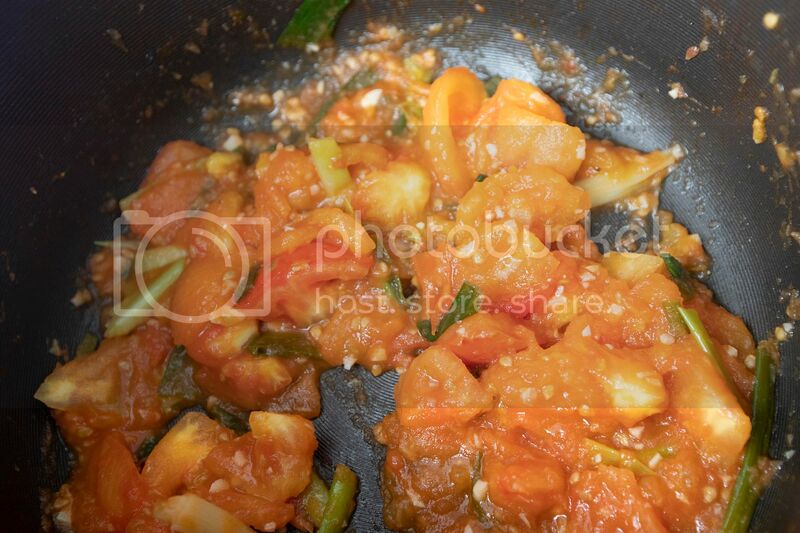 Add in Chinese cabbage and cook till preferred texture. Add a few pinches of white pepper powder. Taste and see if more salt is needed. Stir and pour in beaten egg, also add in some freshly squeezed lemon juice. While prepping the soup, take another pot of water to cook the noodles. 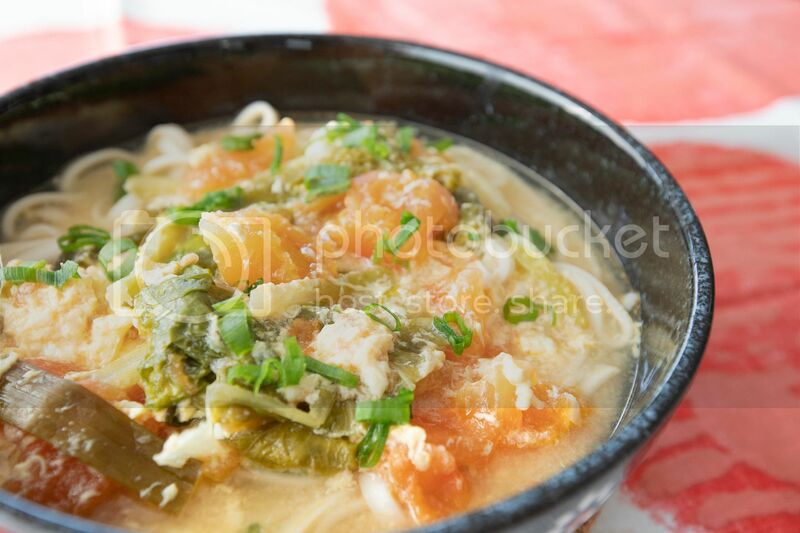 Scoop some tomato egg drop soup to serving bowls. Once the noodles are ready, drain and transfer to these bowls. 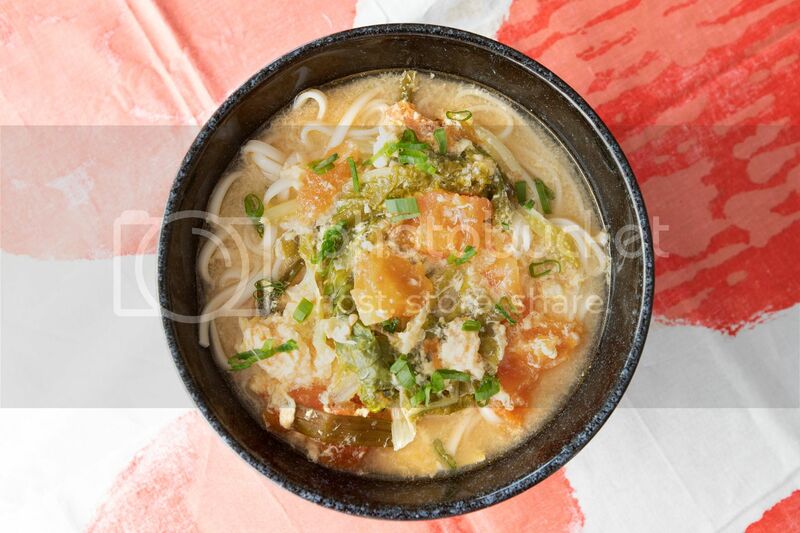 Scoop more soup to the bowls and top with chopped scallion. 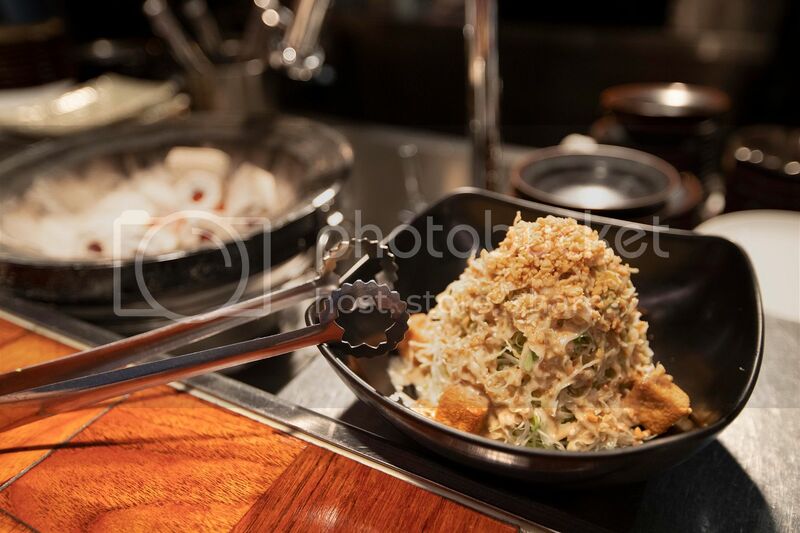 Such a comforting meal, it got the flavors from the land - chicken, and flavors from the sea - bonito flakes. Then the whole dish further brightens up by the acidity from the tomatoes and lemon. Lastly, rounded out by soft beaten eggs. It works really well as flu diet too. Easy to eat and warms up your body (and soul). The true Philadelphia roll might be calling for smoked salmon, cucumber, and cream cheese, but there can be some variations. 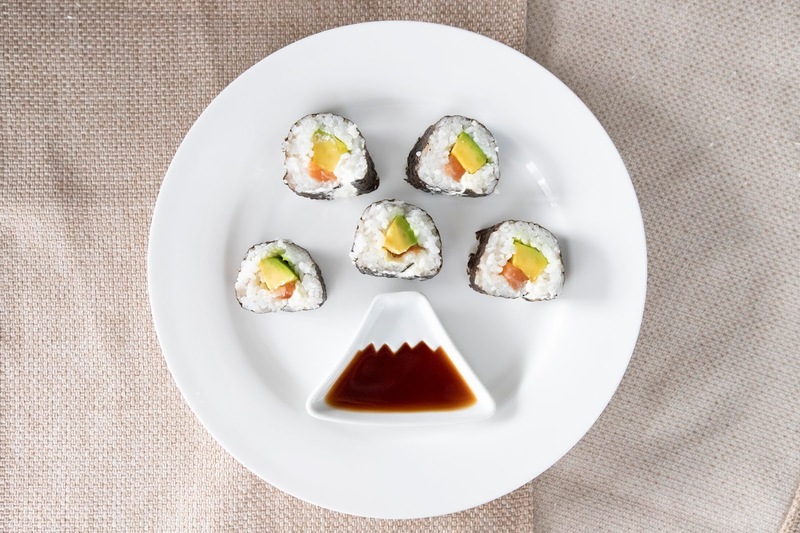 Instead of smoked salmon, I used fresh sashimi grade salmon instead, also swapped out cucumber with ripe avocado. 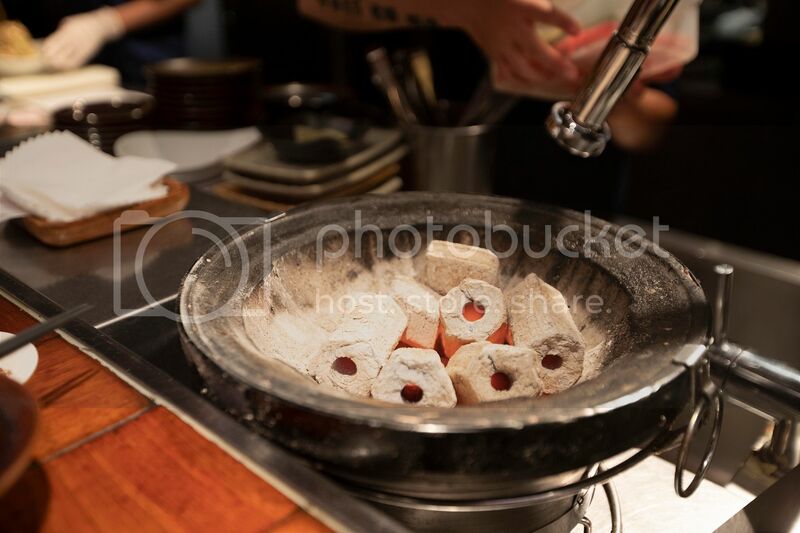 But I'm not worrying too much about the ingredients, it's the rolling action that can get quite tricky. 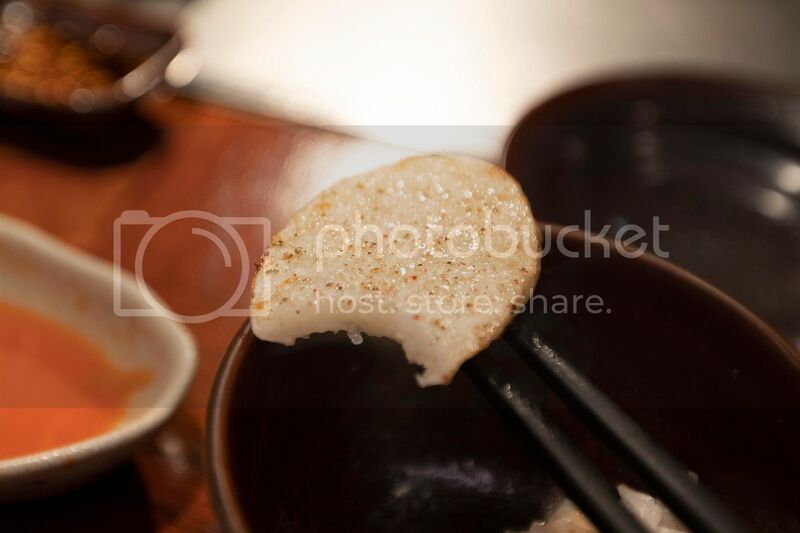 Sometimes the fillings are falling out, or the sushi shape is not holding tightly. Well, it takes some practice, just make sure to have someone (or yourself) on site to help vanishing the not-so-perfect food. Nom nom nom. Mix the rice vinegar, sugar, and salt in a bowl. Make sure the sugar and salt have been fully dissolved. 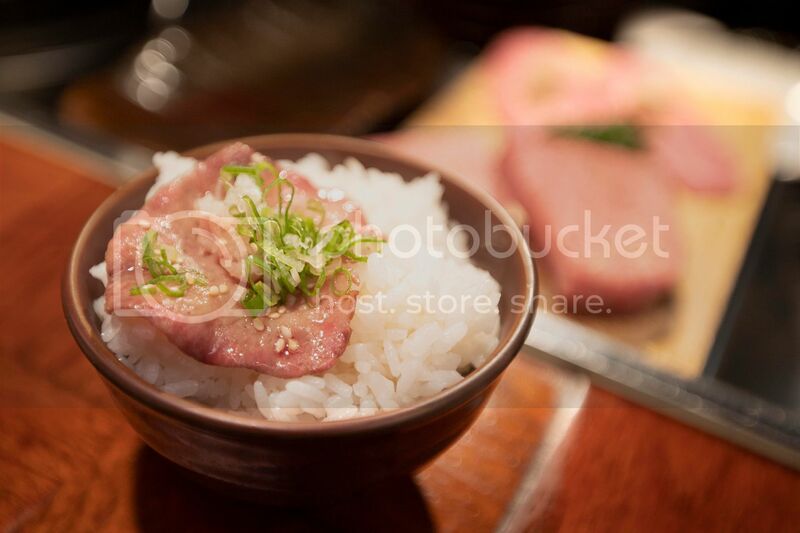 Cook the rice like usual, but once ready, fluffy the grains with pre-mixed seasonings. Try to fan and fluff the grains at the same time, keep cool till temperature drops and ok to handle by hand. 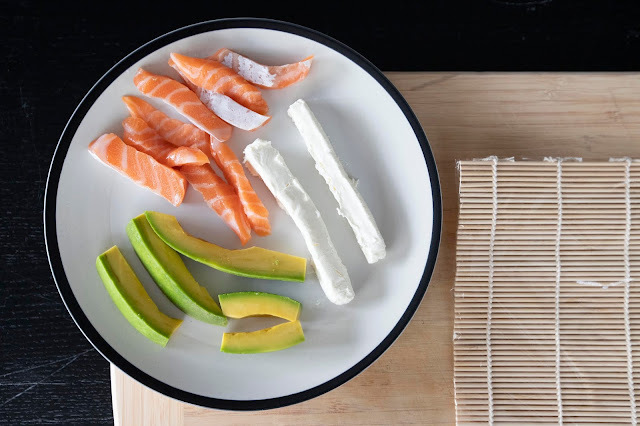 Pre-cut the cream cheese and salmon into strips. Remove the pit and scoop out the avocado. 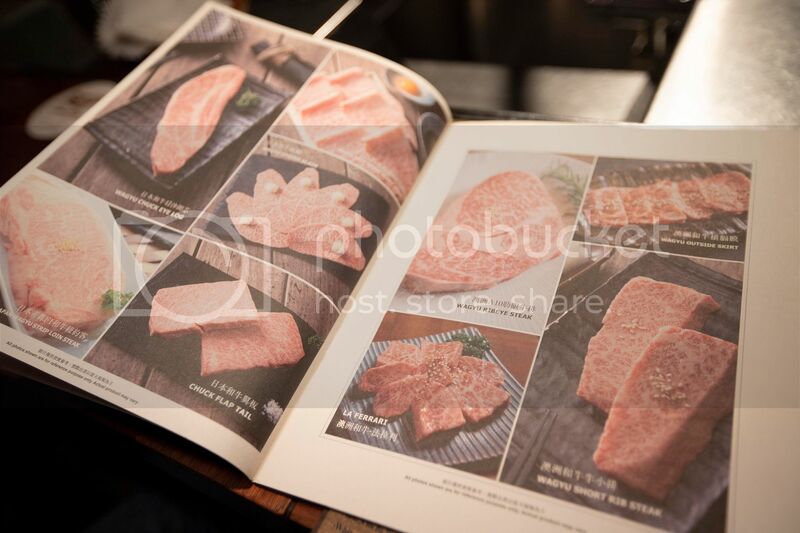 Try to cut into similar shape. Wrap the bamboo mat with plastic wrap, it'll prevent rice from sticking all over and easy cleaning afterward. Lay one sheet of nori on top. 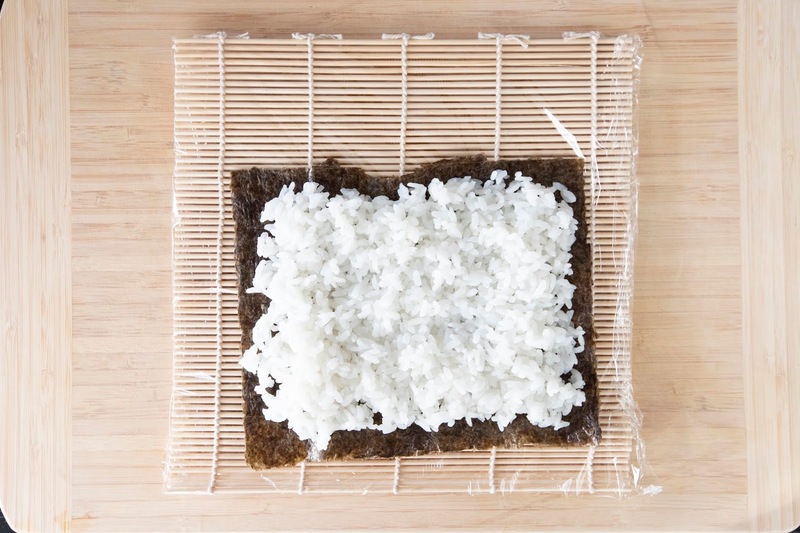 Wet both hands with pre-boiled/drinkable water and spread some rice over nori. Place the salmon, cream cheese, and avocado on one side. 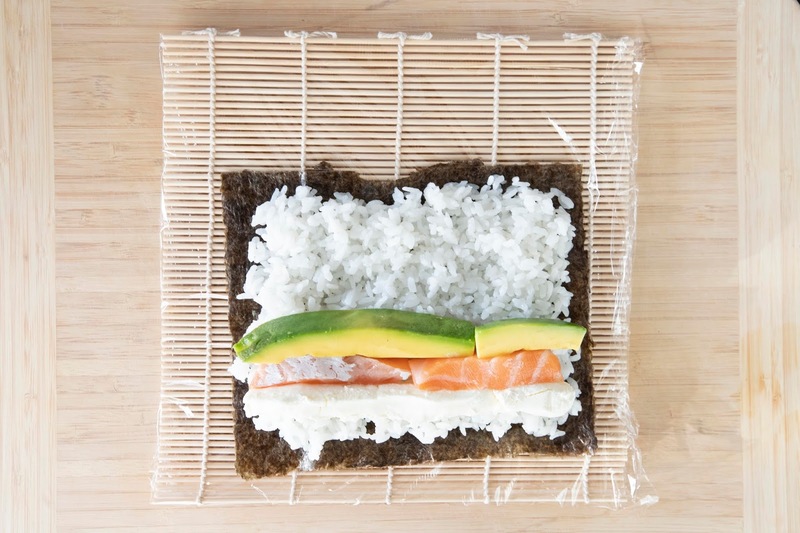 Grab both the mat and the nori sheet, roll over the fillings, like surrounding the fillings, and squeeze to firm up the round shape of the sushi roll. Release and keep rolling till the end and squeeze again to firm up the shape. Transfer the roll to a cutting board and slice to serving pieces using a very sharp knife. Otherwise the fillings can get squeezed out without a clean cut. 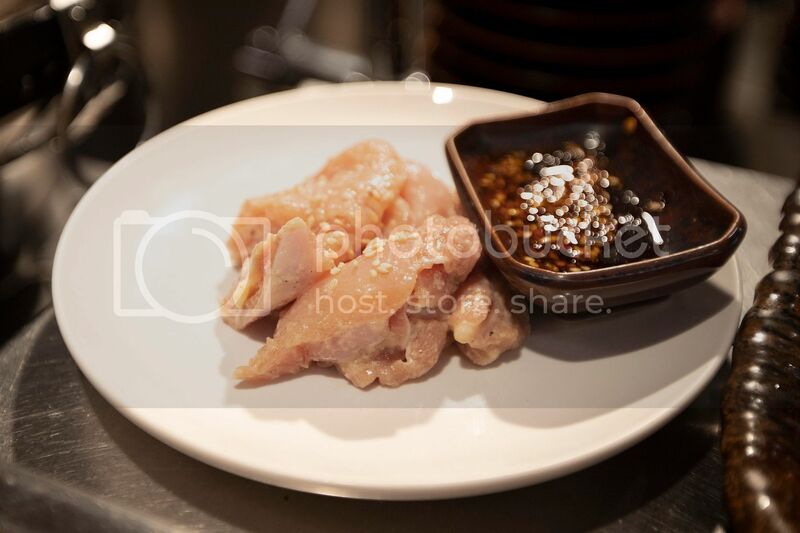 Serve with light soy sauce. Sometimes I also make the rolls but only with cream cheese, regular rice, and nori sheet. 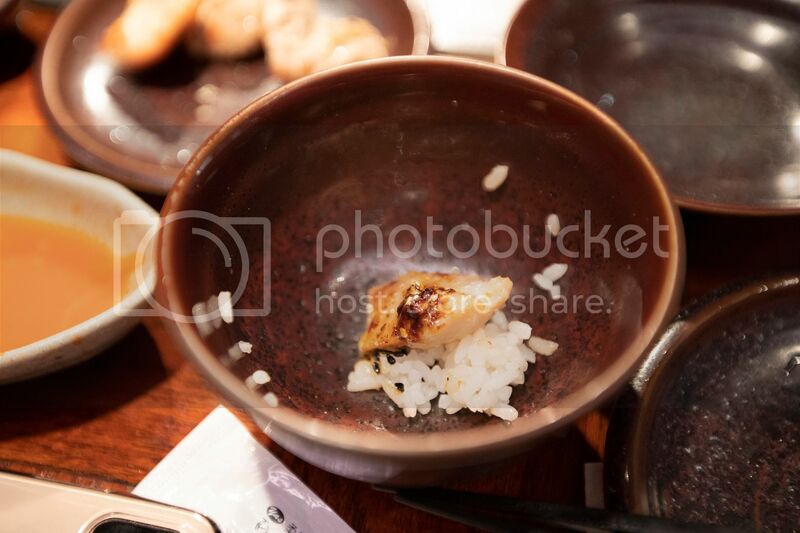 Don't even bother to make the grains into full on sushi rice. It's like my simple afternoon treat before dinner. 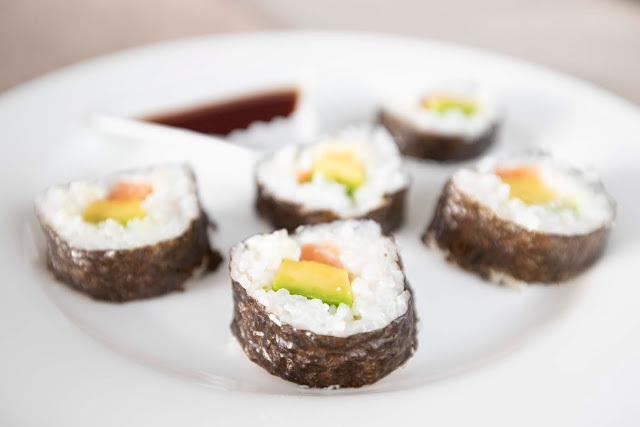 By the way, making sushi rolls can be quite a hassle in the beginning. Check out some videos online and see how people roll up sushi if there's any doubt. Otherwise, trial and error always work, use less rice and fillings to begin with help too. Also make sure to have a little helper to make all the not too good looking ones disappear! 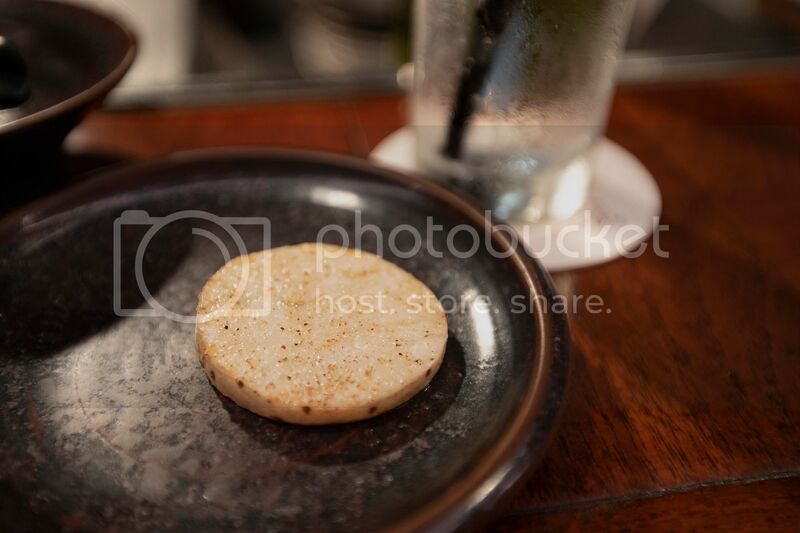 When talking about Michelin-starred restaurant, it's easy to imagine a place with great ambience, clean, tidy, or more so elegant. Somewhere you kind of have to dress up for, or perhaps a fancy place to bring your lovely date. 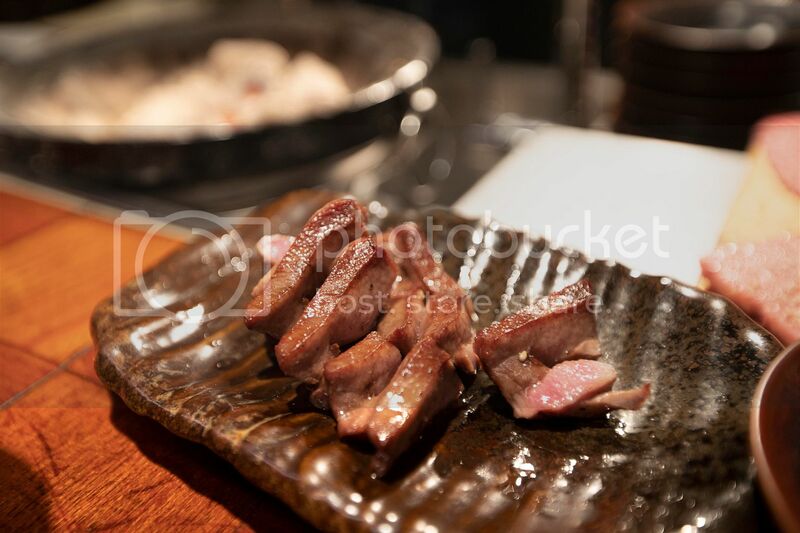 Not quite the case for Da-Wan Yakiniku Dining Restaurant Taipei, which was crowned one Michelin star earlier this year. It was crowded, like shoulder touching shoulder kind of tightness. 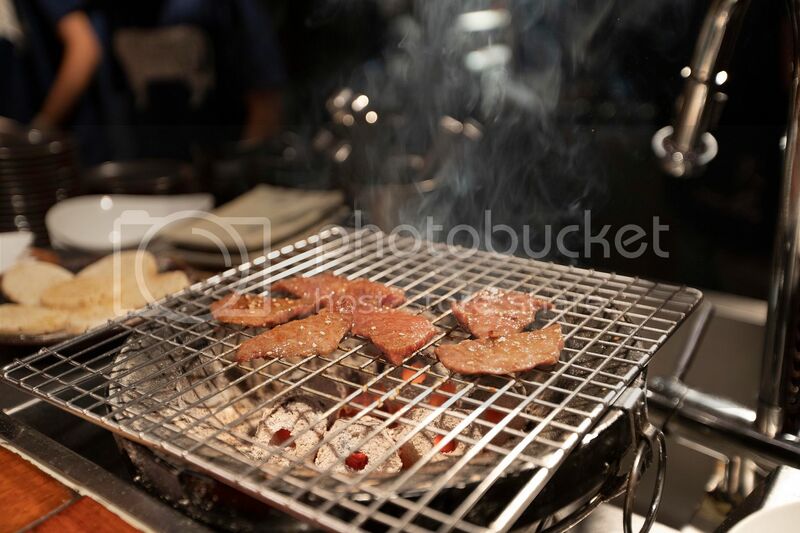 It was also smoky, but inhaling wagyu grilling fume once a while, that I can endure. So I locked my bag in the cabinet, the only place free from grease and smell. 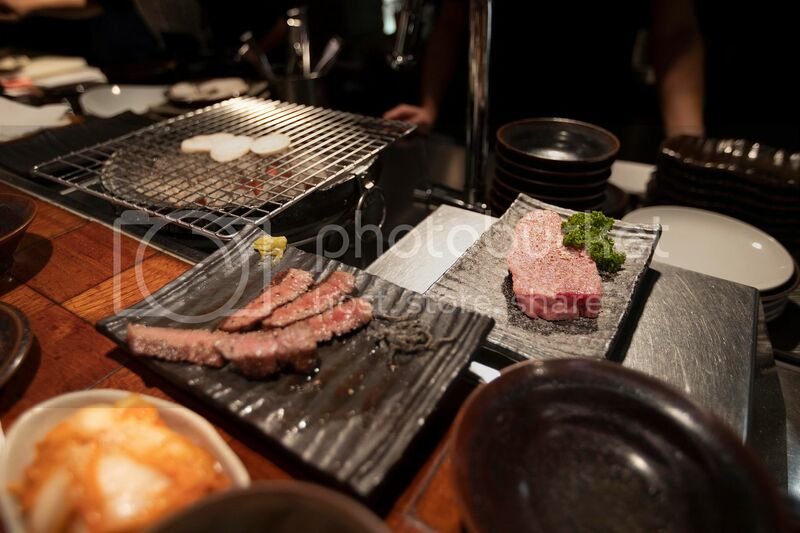 Then dived right into yakiniku heaven. 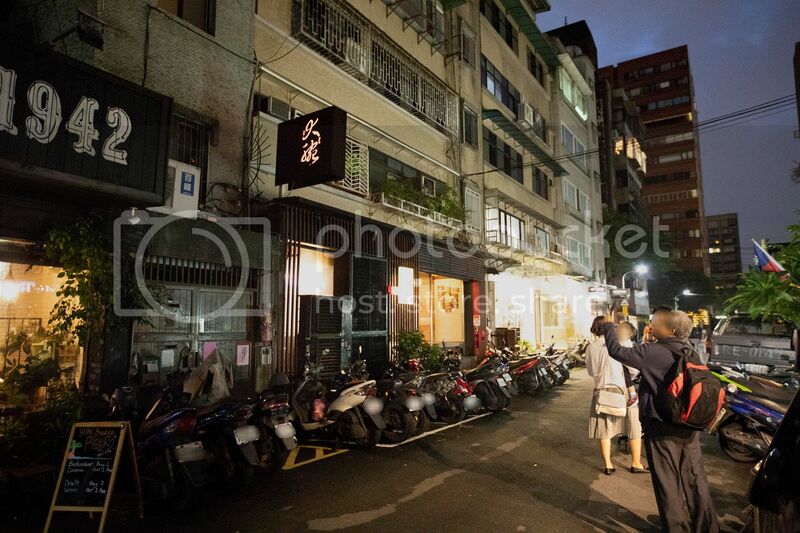 Another surprise is that Da-Wan put a dining time limit for regular dinner hours. 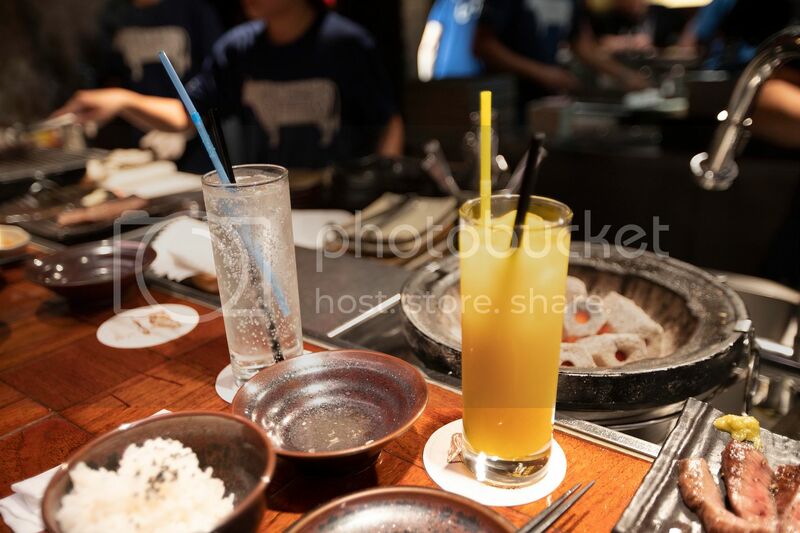 Starting at 6 p.m., 1.5 hours for two rounds, these time slots can get very popular, especially during weekends, so reservation in advance is highly recommended. 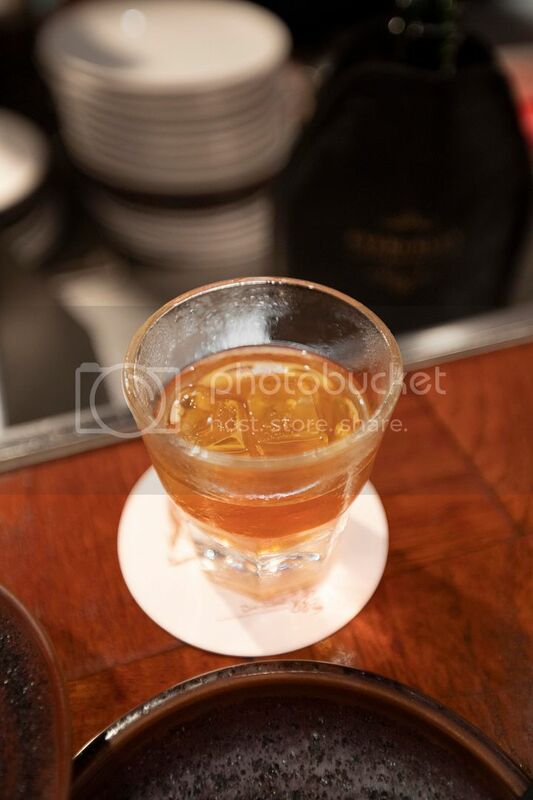 After rush hour service, it gets more chill and easier to enjoy a few drinks at ease. 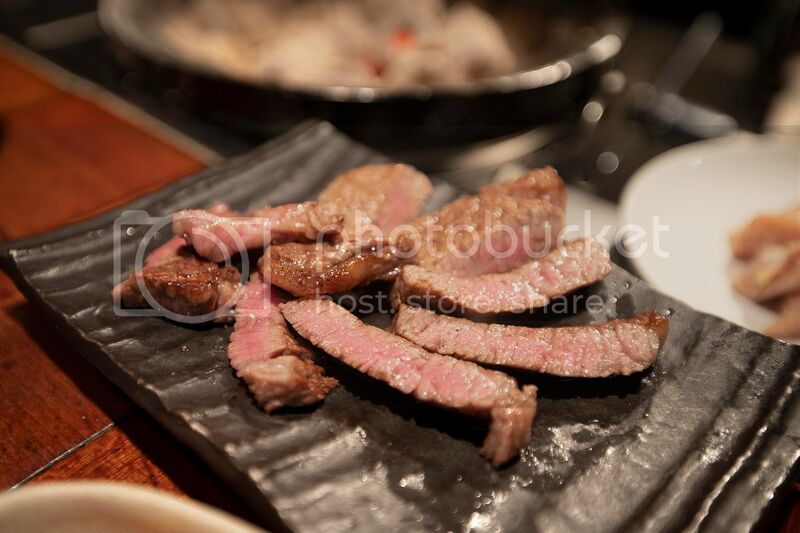 Give-and-take, do you want to eat such heavy marbled beef during late hours? I get it, I know some of you will say anytime. 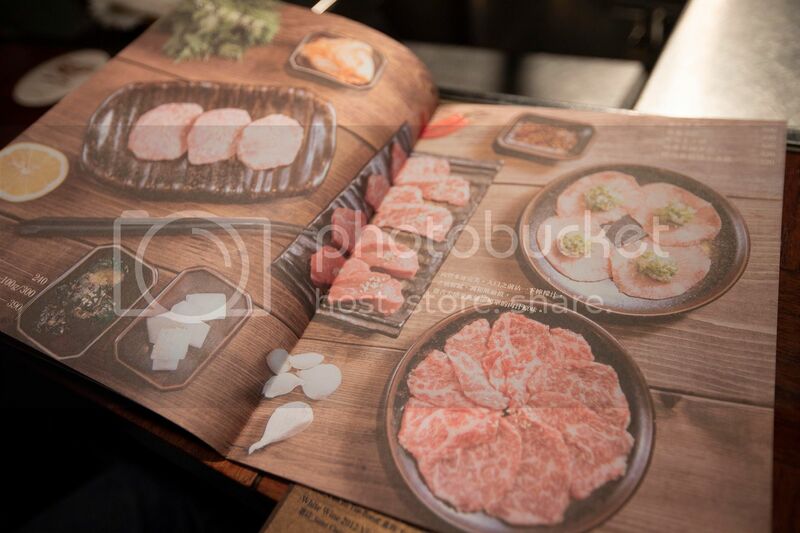 "Anytime" is the perfect timing for eating wagyu beef. Anyways, I was worried about that 1.5 hours limit. 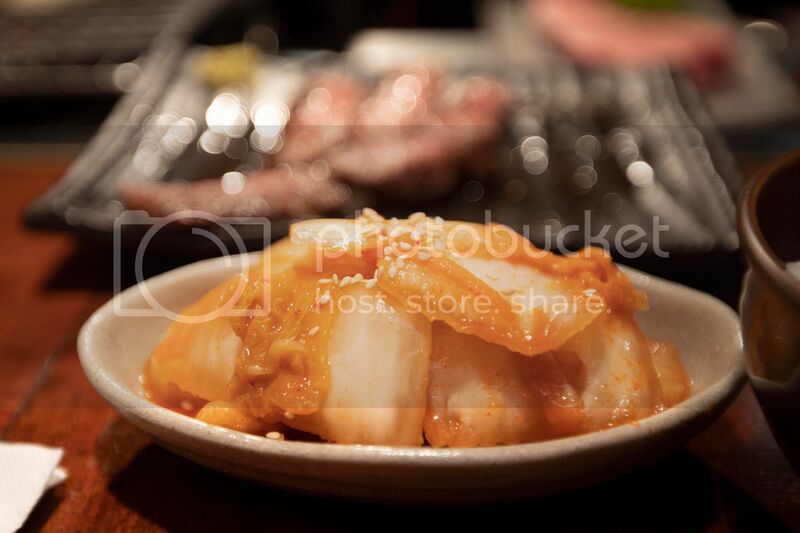 Remembered once I was having a spicy hot pot dinner with the same time restraint. It was such rush and not very enjoyable. Fortunately, such concern did not surface at Da-Wan. I guess Da-Wan trained their crew well. Their SOP was impeccable. 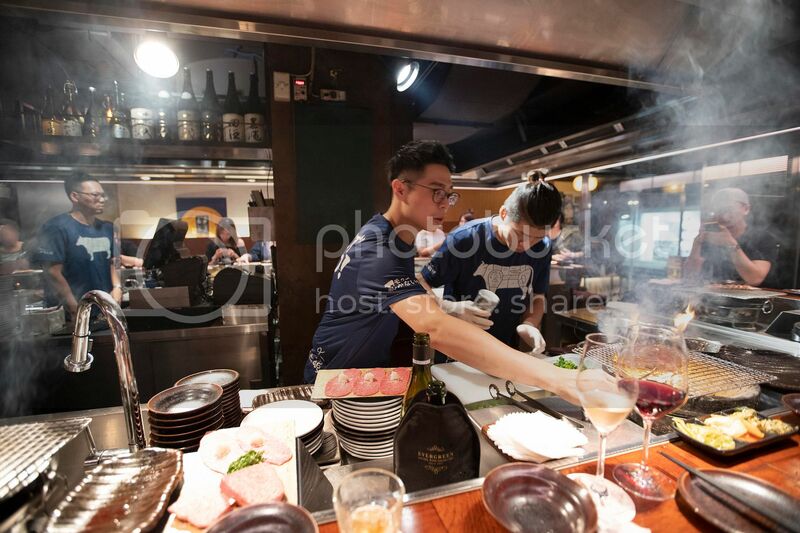 Some staffs in charge of plating or prepping ingredients, some focus on grilling and customer service, like chatting and socializing, and one other guy helped in slicing cooked meat, putting everything in order. Very efficient after all. Wanting to try more food, I even put in a few extra orders towards the end. 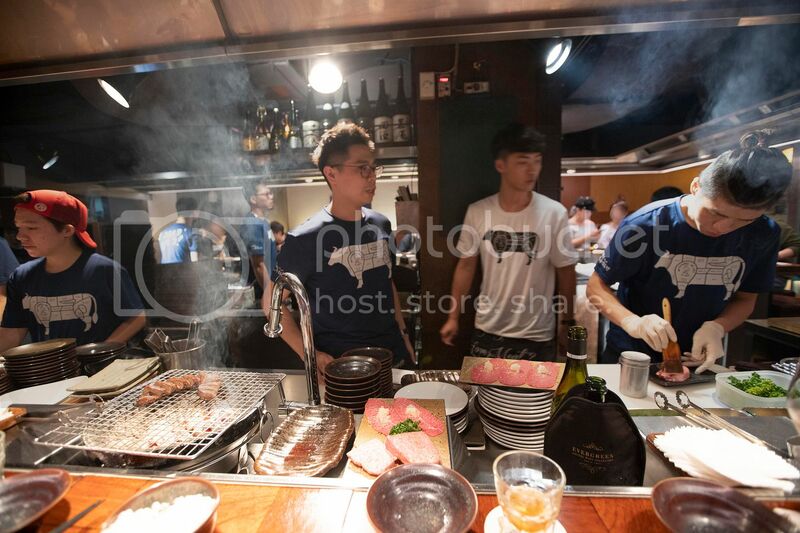 They still managed to finish all my meal, from raw meat to perfectly cooked dishes. By the time I walked out Da-Wan, it wasn't even 1.5 hours yet. Didn't feel rushed at all, a lot has to do with their flawless service. 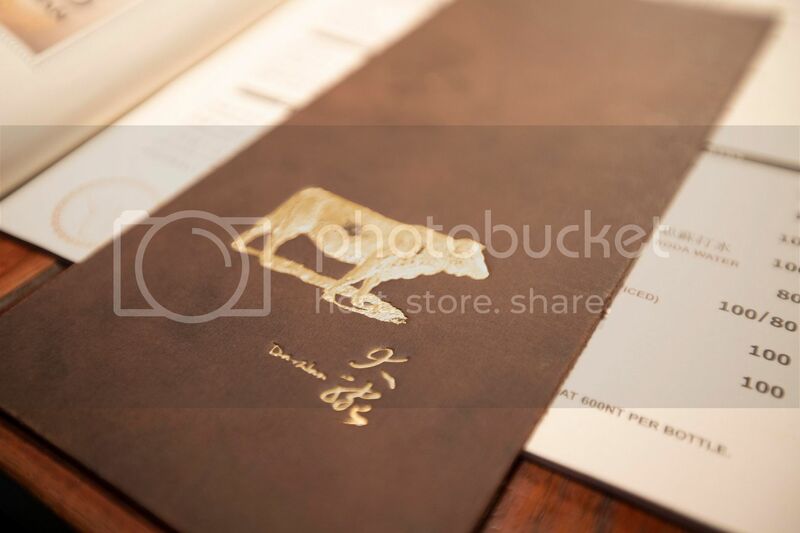 The best way to start a wagyu filled night, of course a few drinks. Da-Wan is conveniently located near MRT station, only few minutes walk. So either public transportation or take a cab, just don't drive there, drink responsibly. 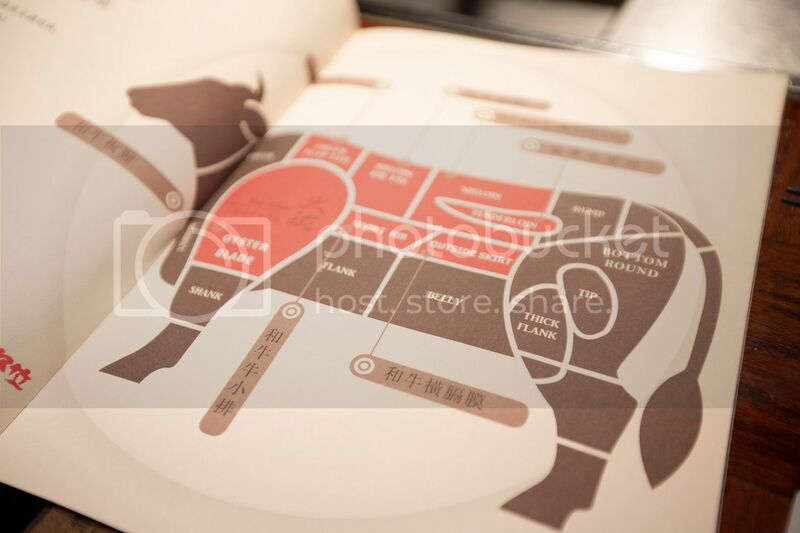 Nearly all items come with an image that customers can refer to on the menu, otherwise, the staff is more than happy to show you what are the differences of these wagyu parts. It can get confusing sometimes. 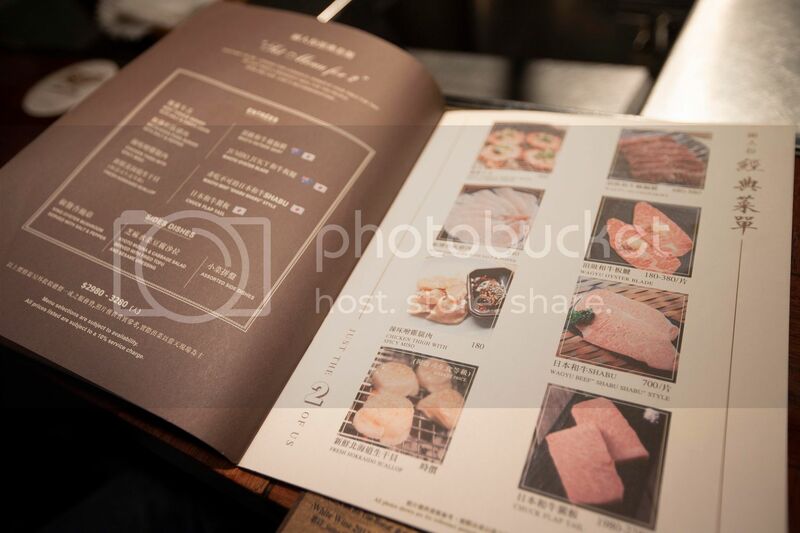 Considering a high-end yakiniku joint, one must try at least few wagyu dishes here, making it worth the trip, worth the hassles of getting a weekend dinner seat. 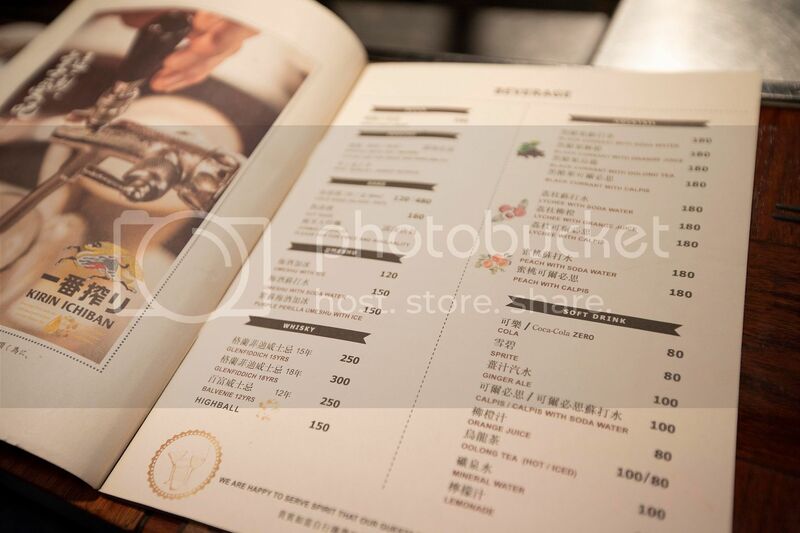 Set menu is also available, you get to try some fancy parts at a fairy reasonable price. Good for first timers. 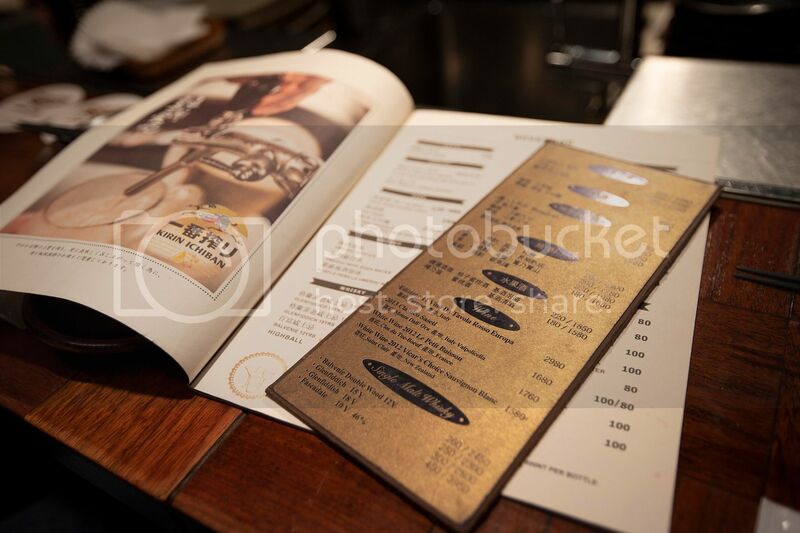 Get a set course then order one or two a la carte items as extra. Always love that dense sweetness and sourish taste, a great start to a rather fat-heavy meal. Have to be honest here, the salad was here just to balance off the heavy meaty meal coming up. But surprisingly it was quite delicious. The amount of sauce used here almost overtaken the actual veggies, but the two elements bond nicely, adding each other's strength. 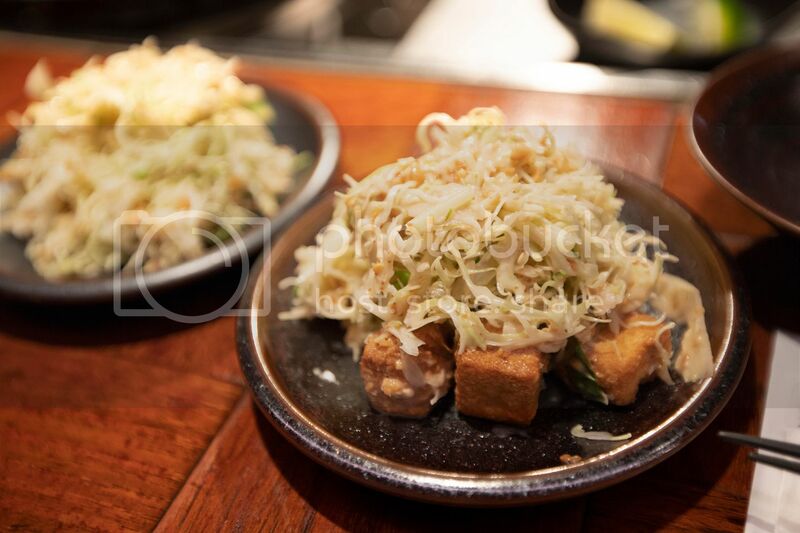 And there're crunchy tofu cubes creating one extra layer of texture. Not light but very flavorful salad indeed. 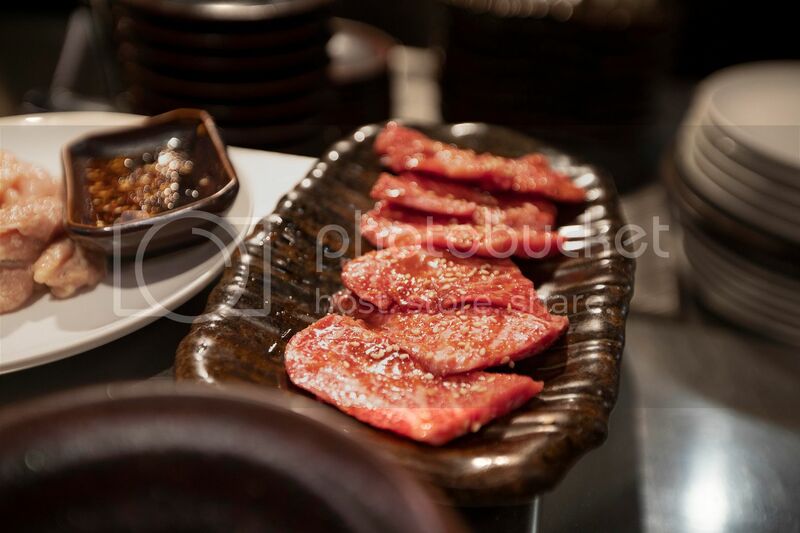 Being a fan of beef tongue, I have to order both beef tongue dishes on the menu. The strip-looking one is the end part of the tongue. 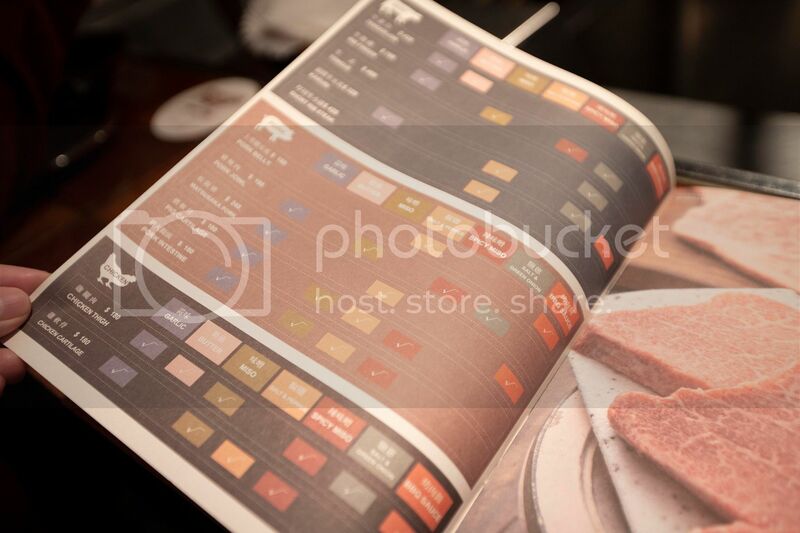 Usually you'll find restaurants simply slice it into thick pieces. 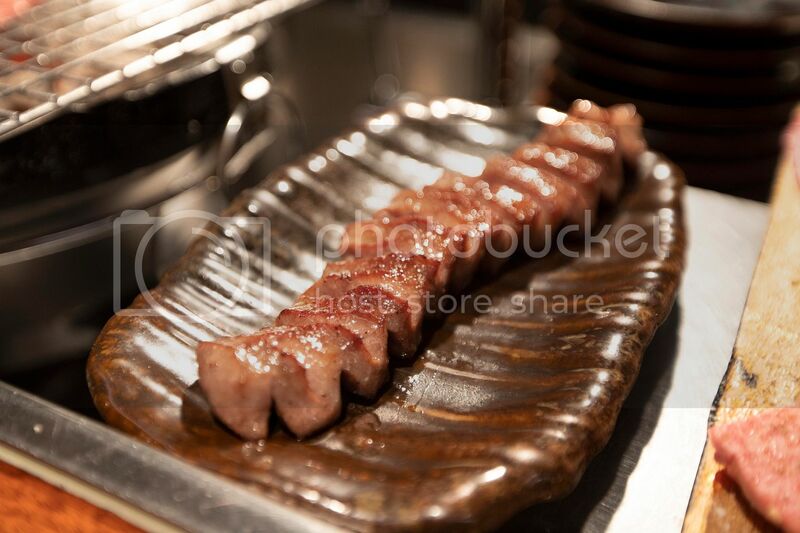 But at Da-Wan, they separate a whole section of the tongue "vertically," also not cutting the pieces all the way down. 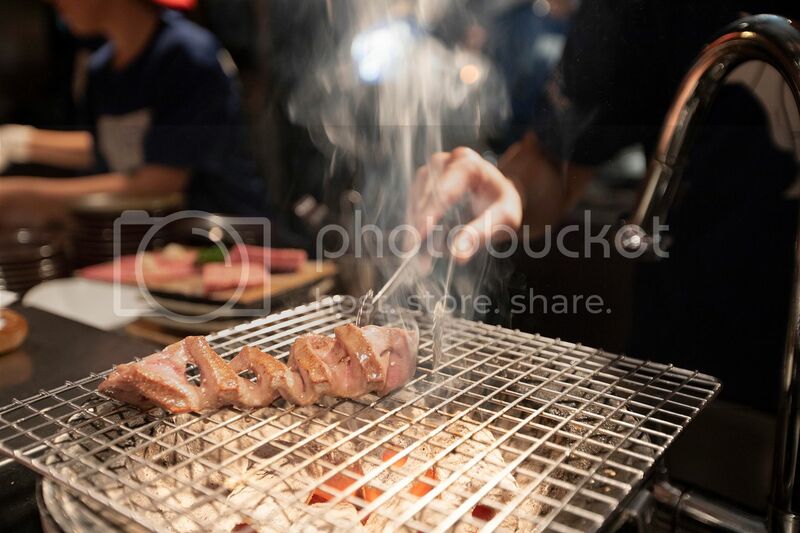 That's why these pieces are still connected and grilled as a whole. 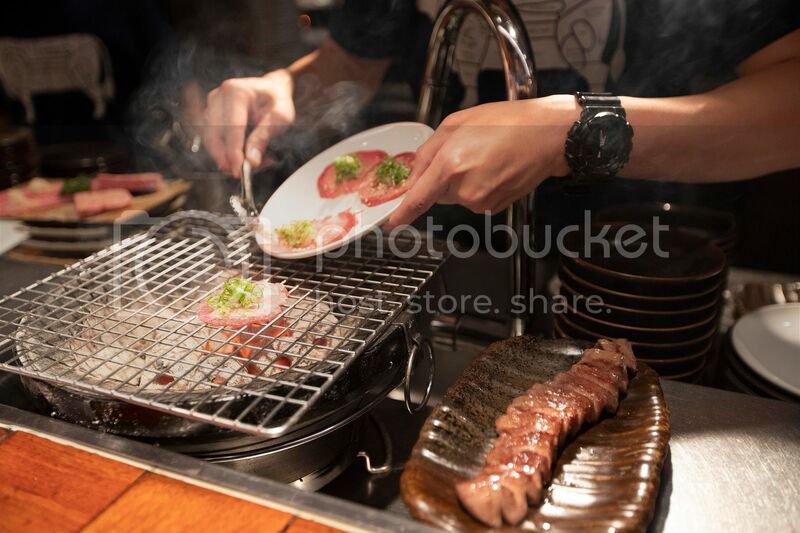 Not just grilling and serving, after the first grill, the thick-cut beef tongue was put aside to rest for few minutes, then back to the grill again to get to that perfectly thin crust on the surface. No extra seasoning, but if you'd like, a gentle dip in freshly squeezed lemon juice to brighten up the flavors. Every bite was paradise to me. 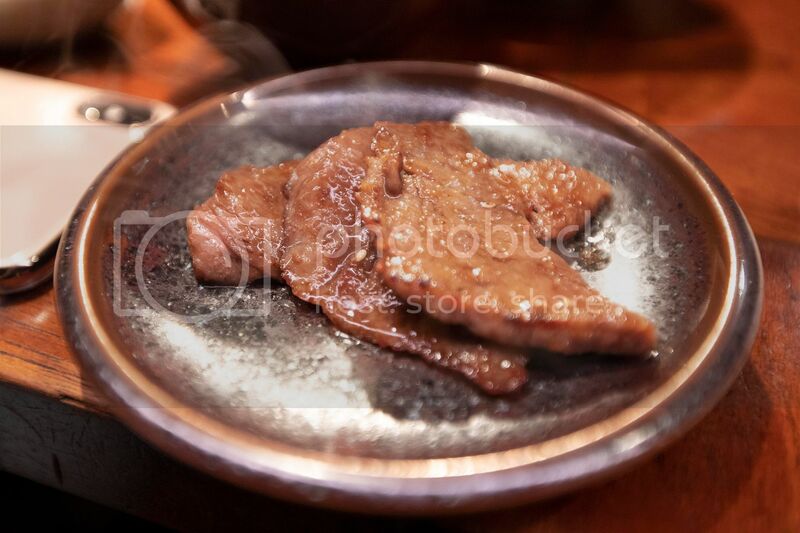 If you had thick-cut beef tongue before, you might be able to relate to that distinct bouncy but not chewy texture. 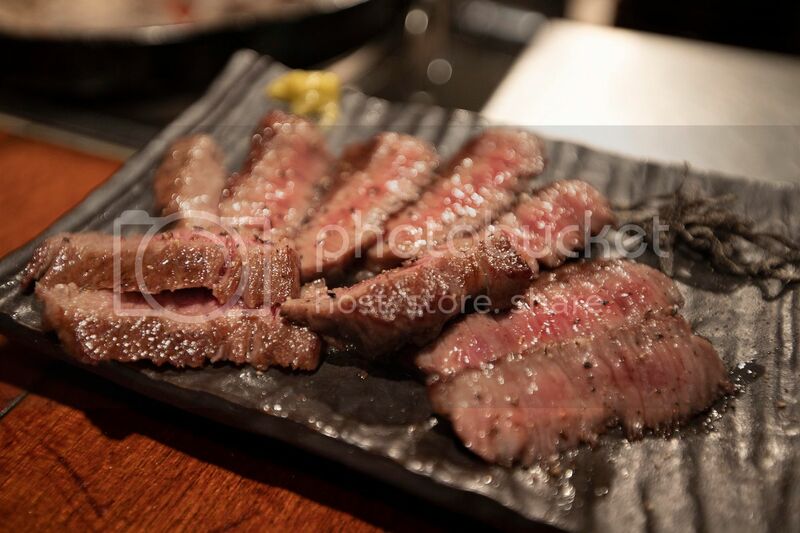 This one with one extra bonus, thanks to wagyu quality, the fat throughout even though not as obvious as other parts, but for sure it further tenderized the meat. So the more you chew, it seemed like a very thin layer of fatty juice started to come out, bouncy and somewhat juicy at the same time. Highly recommended, do not miss this one if ever paying a visit at Da-Wan. No need to double grill. Instead of that bouncy tongue earlier, this one is leaning towards the chewy side, but still easy to eat. This is when picture speaks louder than words. Meanwhile we had some king oyster mushrooms in between. 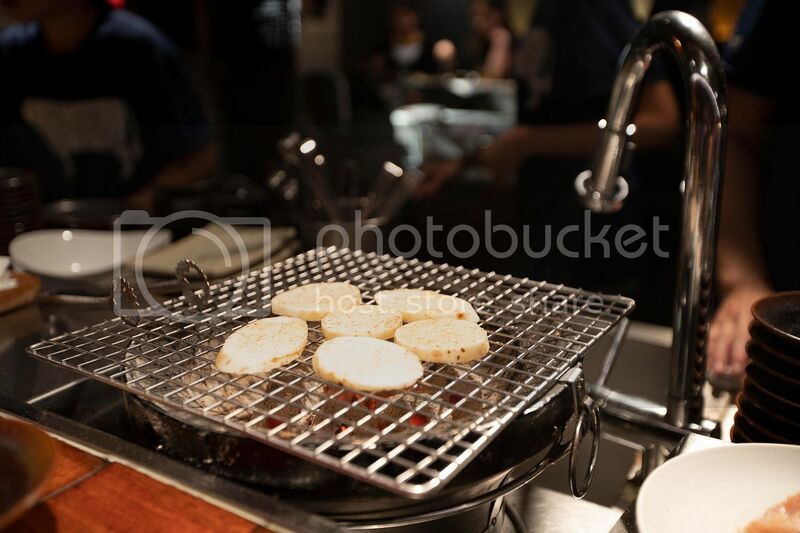 While most places cook the veggies alongside the meat, Da-Wan actually change to a new grill for every different item. Think about it, going through such hassles and time-consuming process, I was still able to finish all the dishes within time limit. 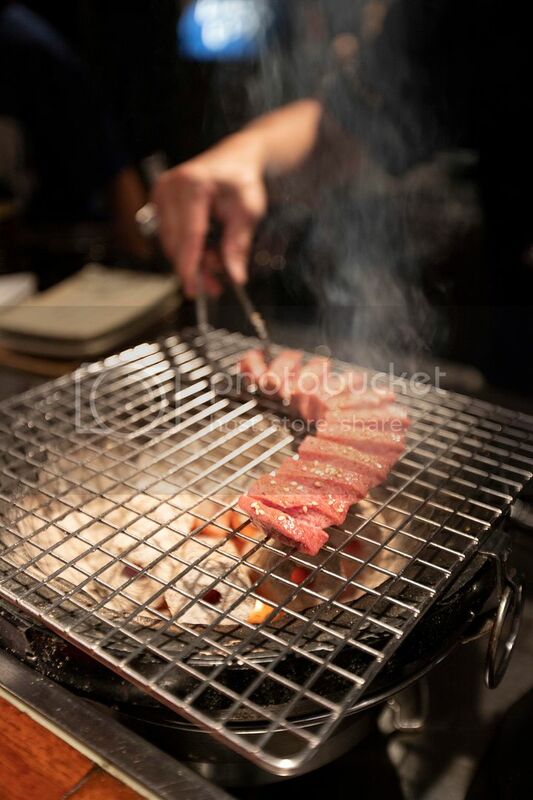 Also grilled twice, this time the chuck flap tail was served with yellow mustard and shio kombu, pick one to eat with. 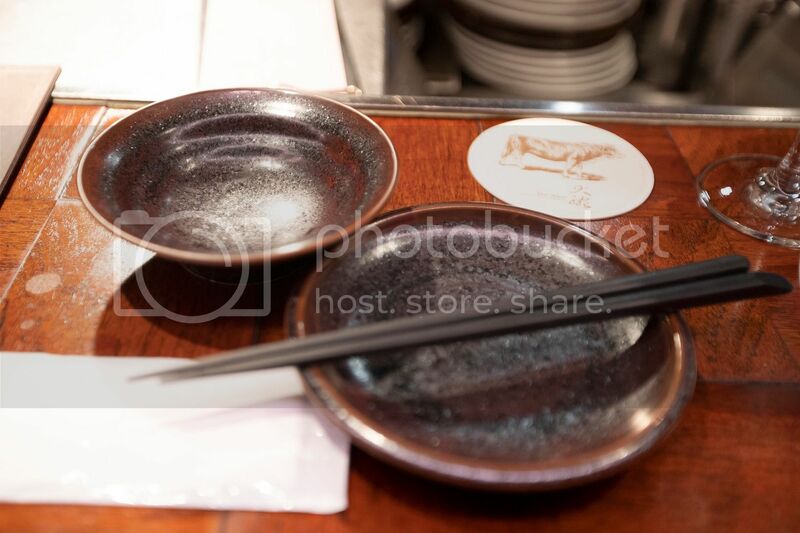 I prefer the shio kombu. 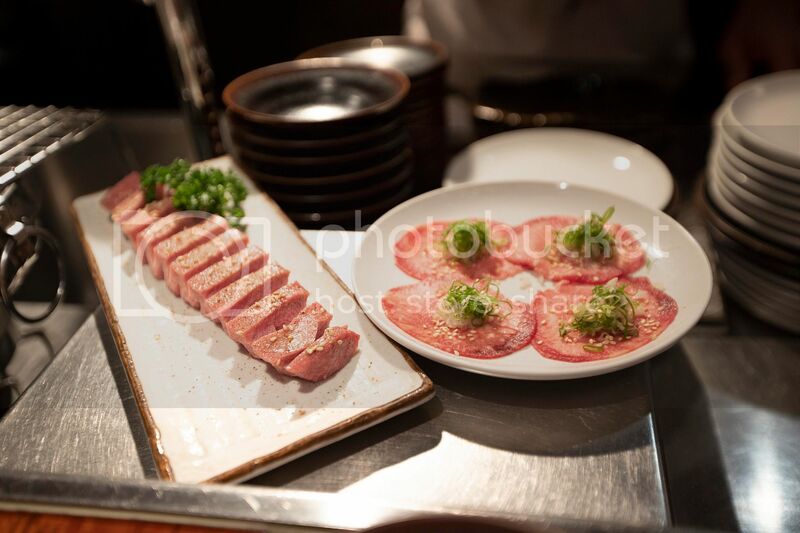 Savory and packed with umami, which further enhanced the sweetness and drew out even more juice from the meat. On the other hand, the yellow mustard provided a pungent kick to the heat, in a way toned down that fatty sensation. And the wagyu oyster blade just melted in my mouth, literally. One thing about wagyu fat, it's not clingy at all like pork fat. 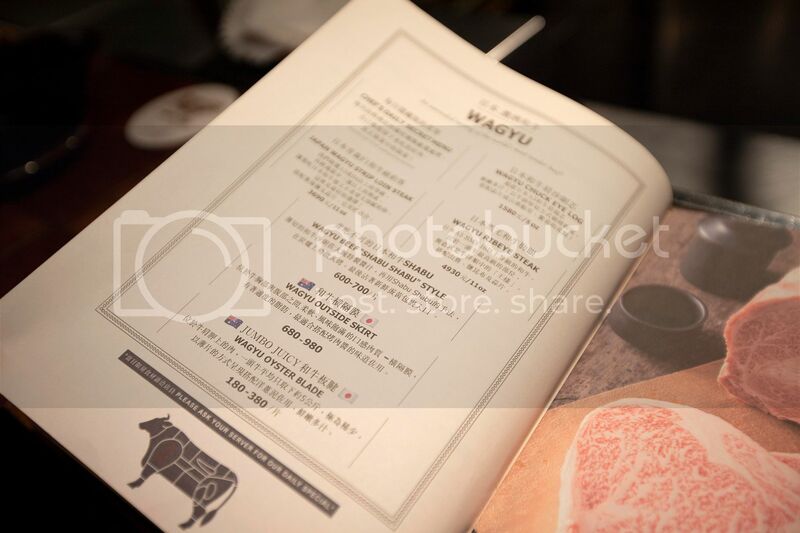 If not binge eating, but rather savoring a small bite, you can better understand that wagyu fat can be so delicate, like thickened jus lightly flavored with beefy aroma. Which was also the case for this fine piece of chateaubriand. However, not sure why Da-Wan drizzled some truffle oil over. 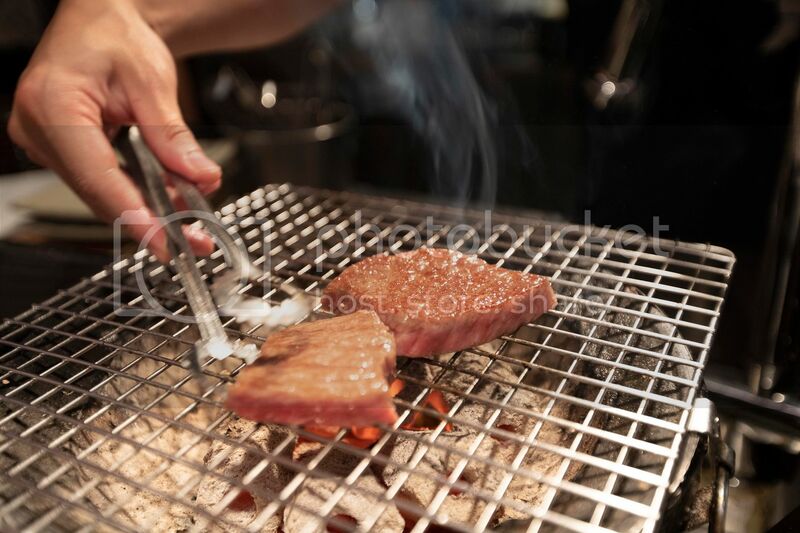 Most people might fall for such aroma, but I'd rather savor the oil from the beef itself. 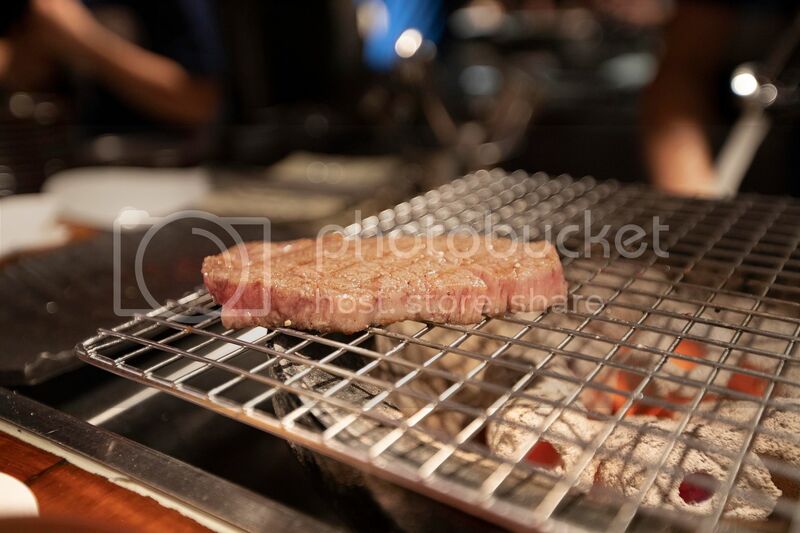 With such high-quality meat, simplicity is the best. I was going to order the diaphragm, but it wasn't available so the staff recommended this part instead. Marinated first, which was fine, after trying out some wagyu pieces, it's time to venture to the heavy seasoning zone. Helped emptying my rice bowl too. 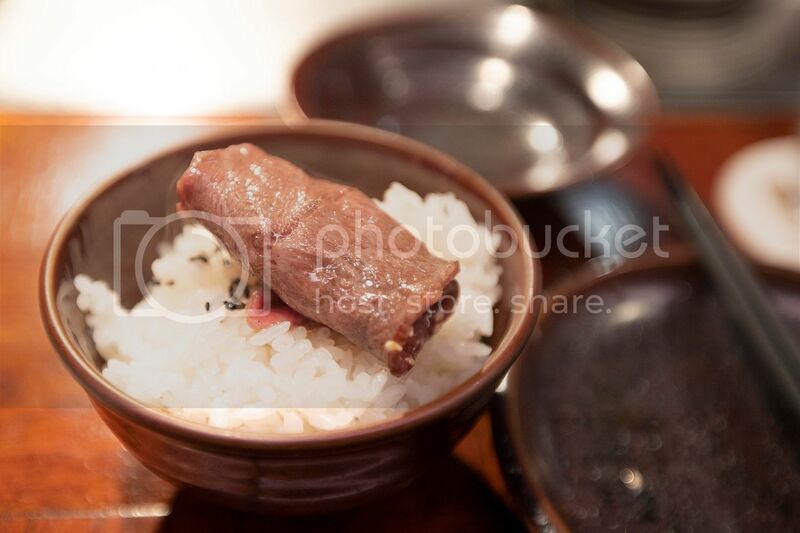 Believe it or not, it was my second favorite item of the night (thick-cut beef tongue being my first pick). So simple but why so delicious? It's like a savory beer snack but much healthier version. Brushed with sesame oil then dusted with salt and bell pepper powder (I suspected paprika but the staff was telling me bell pepper in Chinese, slightly different but couldn't verify at the time). Not sticky at all, but more of a gentle crunch, kind of like biting into thickly sliced pear. Do not miss this one, you'll be amazed. Extra order so I can finish the last bits of my rice. Put the chicken aside, the spicy miso was such a rice killer. They blended some chili flakes which added a tiny touch of spiciness but greatly boosted up the aroma, also brought up the sweetness from the miso. Up till that point, I was already pretty full from all the meat, otherwise I would like to figure something else to go along with leftover spicy miso sauce. As I rubbed my happy tummy, another round of customers already waiting outside. 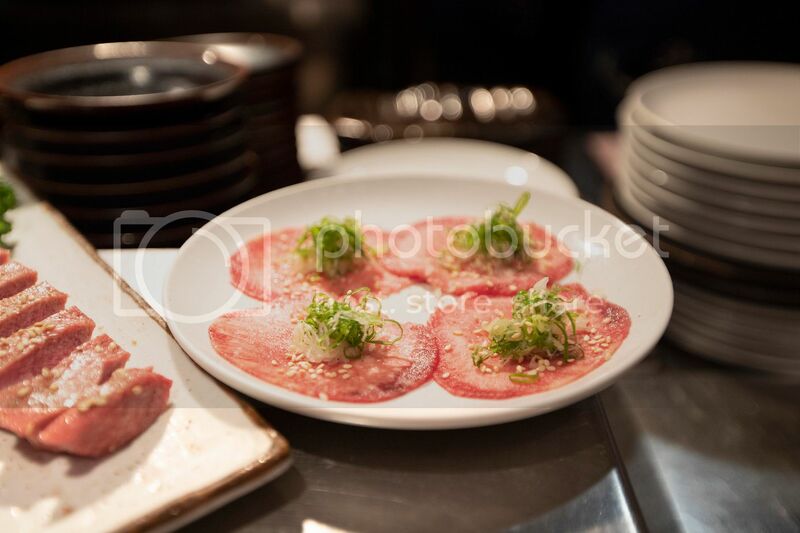 "Make sure you won't miss Da-Wan's thick-cut beef tongue and Japanese yamaimo," my mind yelled out. 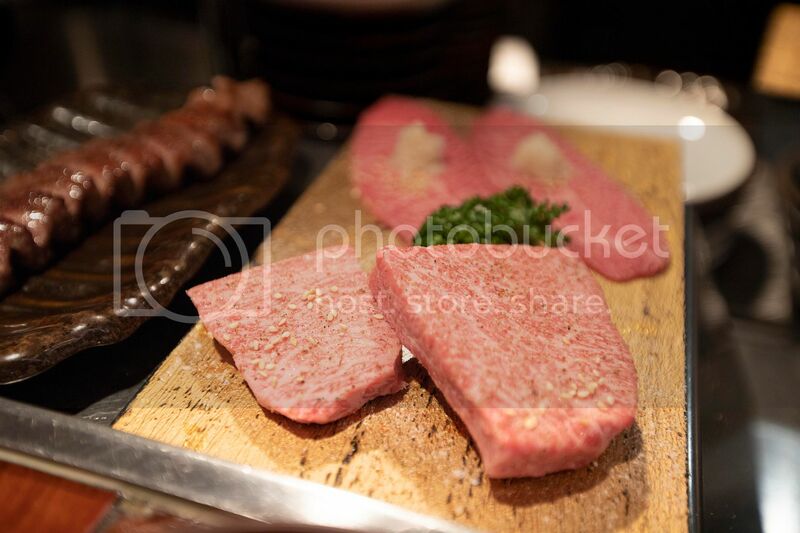 Da-Wan Yakiniku Dining Restaurant (大腕燒肉專門店) currently holds one Michelin star status. 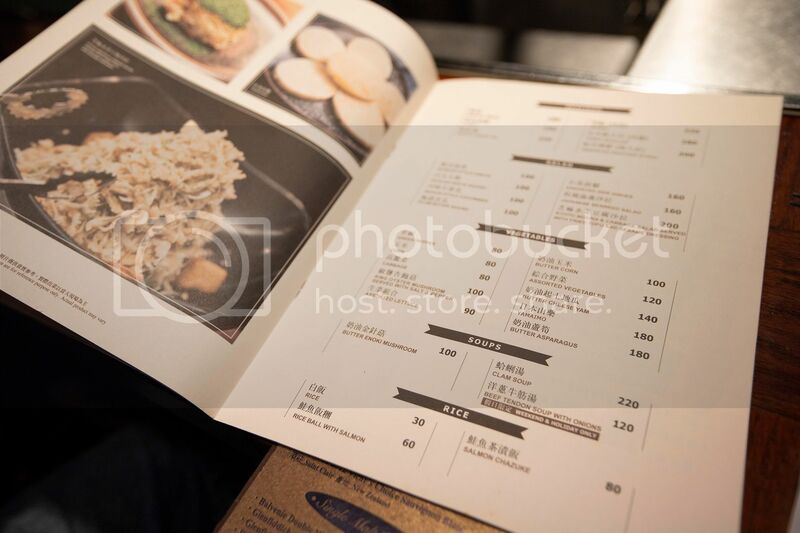 1F., No.22., Alley 177., Section 1, Dun Hua South Road, Da An District. 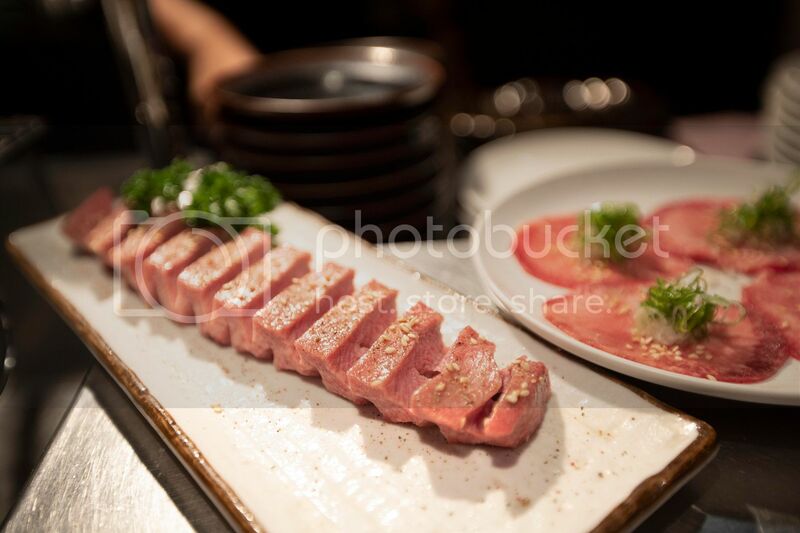 *Reservation highly recommended, can be made 30 days prior by phone or by Facebook message after 2 p.m. pacific time. Friday, Saturday 6:00 p.m. ~ 2:00 a.m.